Hello running friends. 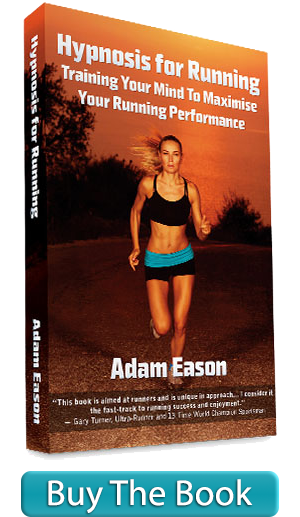 Ok, so as of next week, I’ll be back writing about my ongoing training schedules and offering up various strategies, techniques and approaches for advancing running performance using your mind and a psychological approach. In coming weeks, I have also got some very exciting projects to share with you. For now, this is an indulgent, short article, the likes of which I have written a fair few times in the past. Every now and then I like to write and quickly share with you my running consumerism and simply explain what my favourite new things are that I am using to help with my running. There is not huge amounts for me to report to be honest in terms of my usual running gadgetry; I still use Garmin watches and currently have the 920xt which is excellent. Although I do still sometimes run in Adidas Adizero Boost, most of miles are run in a variety of Altra running shoes – I have wide feet and have managed to adapt my calves to the ‘zero drop’, natural running, which I really like. Underneath those shoes are my favourite Injinji socks, with toes often covered in Gurney Goo… My other favourite things. 1. Bosu ball: There are versions of this called a ‘wobble board’ – but the main idea is to create an unstable surface to exercise upon in order to advance and enhance your core stability, something which is important to runners. My recent physiotherapy visits highlighted that I really needed to work on my core and my weekly regimen now includes a variety of exercises on the boss ball. Side planks with leg raises (for example) on a bosu ball are a killer, but are doing me plenty of good. 2. Plantronics wireless headphones: I have had so many different types of headphones over the years, and I really wanted to get myself some wireless ones for the Summer. I do not listen to music, I listen to self-improvement audios, podcasts and audio books on my longer, slower runs. They fit fairly well, the wireless connection to my iPod Nano is pretty good most of the time, and it was definitely a less expensive option compared to the others I researched. 3. Plyometrics box: This is basically a wooden box. That’s it. A big wooden box. And you jump up and down on it. You can step up and down on it if you like, and you can jump one-legged on it if you like, and I tend to get particularly worn out by doing box jumps and doing a squat as you land. Plyometrics are something I have tended to ignore over the years and have started incorporating a hard session of it once a week. That’s it really. Training is back underway. The sunshine is helping me top up my t-shirt tan. I am currently doing 60+ miles a week, building up to 70 in coming weeks as I prepare for my Autumn events and upcoming Summer Ultra marathons. I’ll be writing plenty more about that next week.